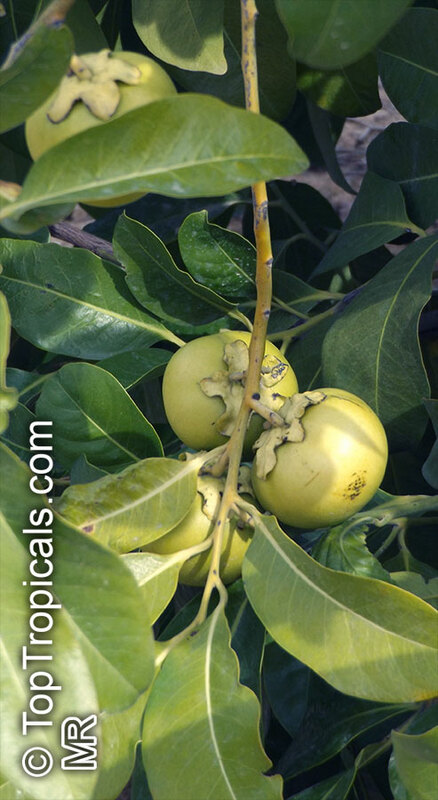 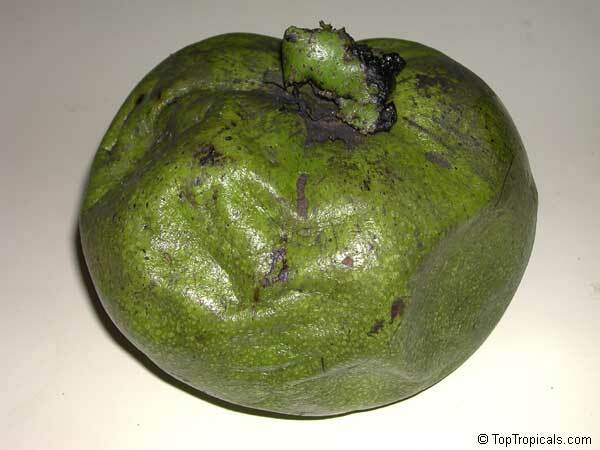 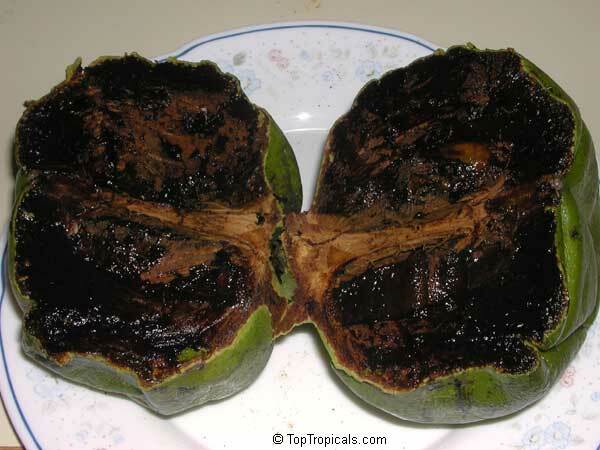 The Black Sapote, often called 'chocolate pudding fruit', is closely related to Persimmon. 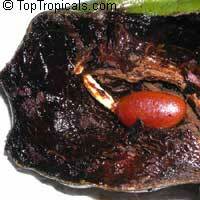 It originates from Mexico and lowlands of Central America. 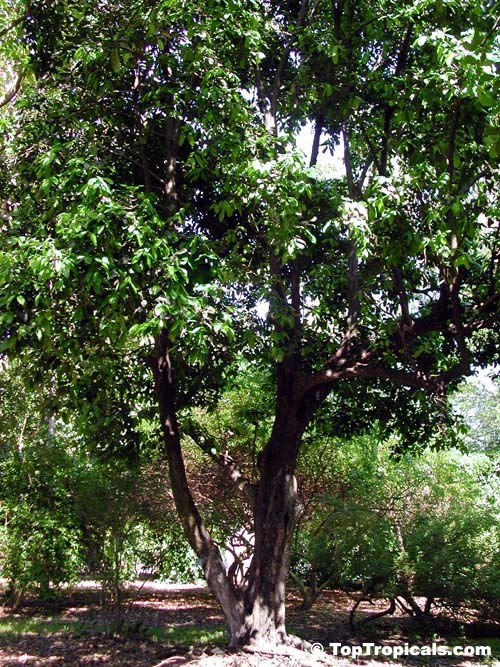 The plant was carried by the Spaniards to the Philippines before 1692, and eventually reached Malacca, Mauritius, Hawaii, Brazil, Cuba, Puerto Rico and the Dominican Republic. 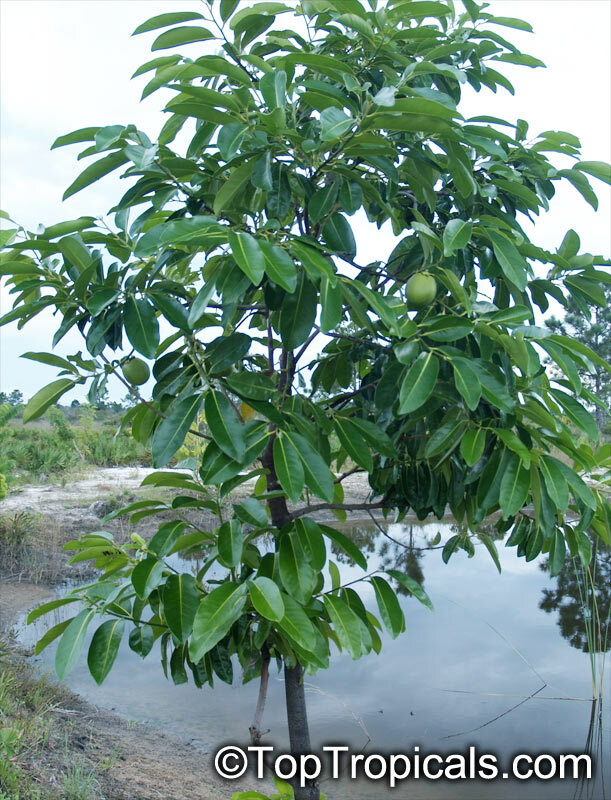 In 1916-19 seeds and cuttings from Mexico and other countries of Central America were sent to the Bureau of Plant Industry of the United States Department of Agriculture. Numerous seedlings have been grown in southern California but all have been killed by low temperatures. 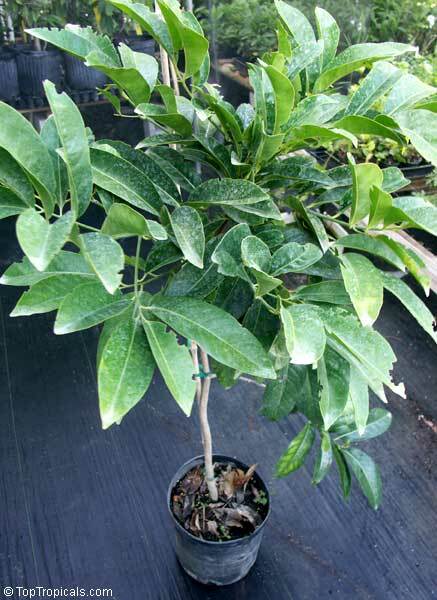 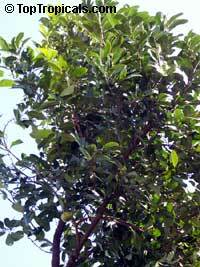 This rather slow growing, medium size handsome tree has deciduous, shiny, dark green leaves. 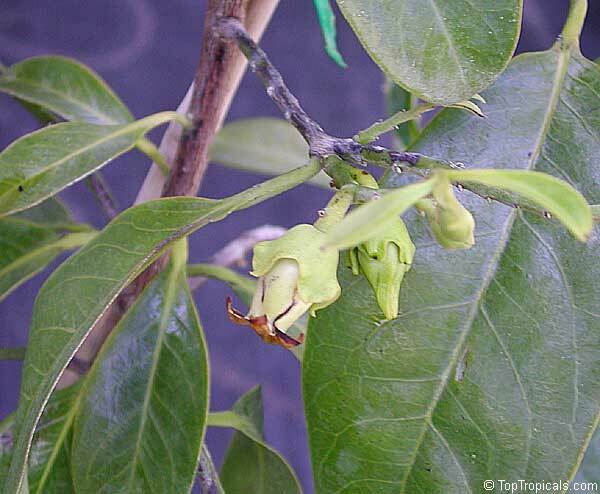 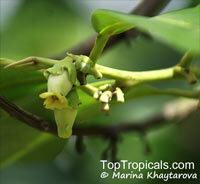 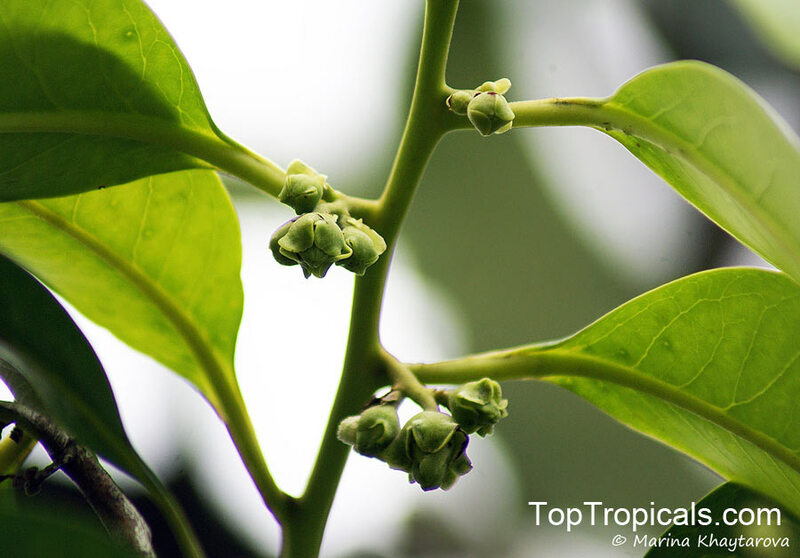 The flowers, borne in the leaf axils, are tubular, white, with persistent green calyx. 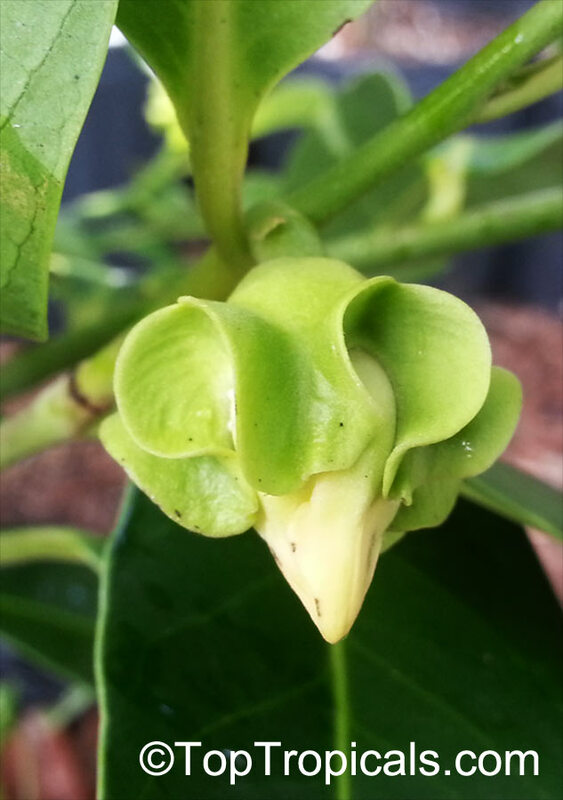 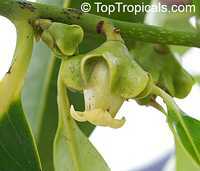 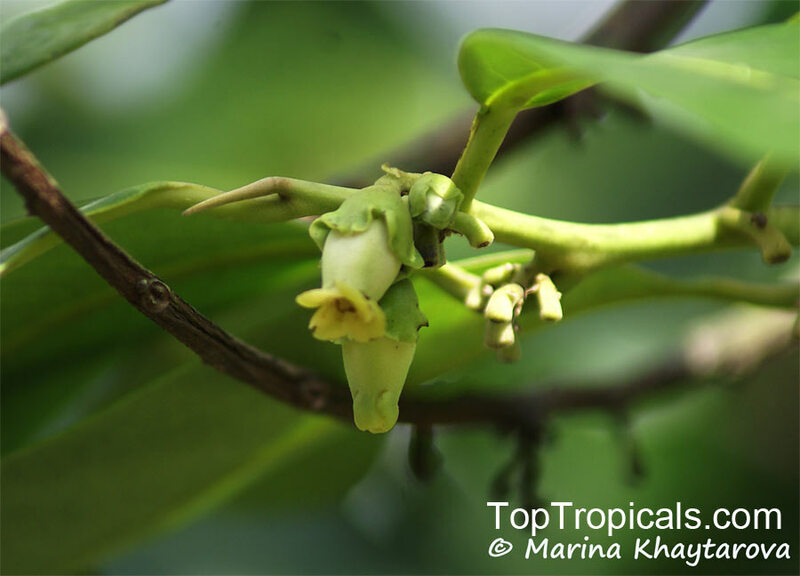 Some have both male and female organs, and are faintly fragrant; others are solely male and have a pronounced gardenia-like scent. The fruit is nearly round, bright-green and shiny at first. 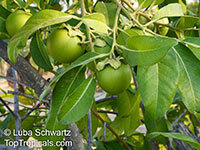 On ripening, the smooth, thin skin becomes olive-green. 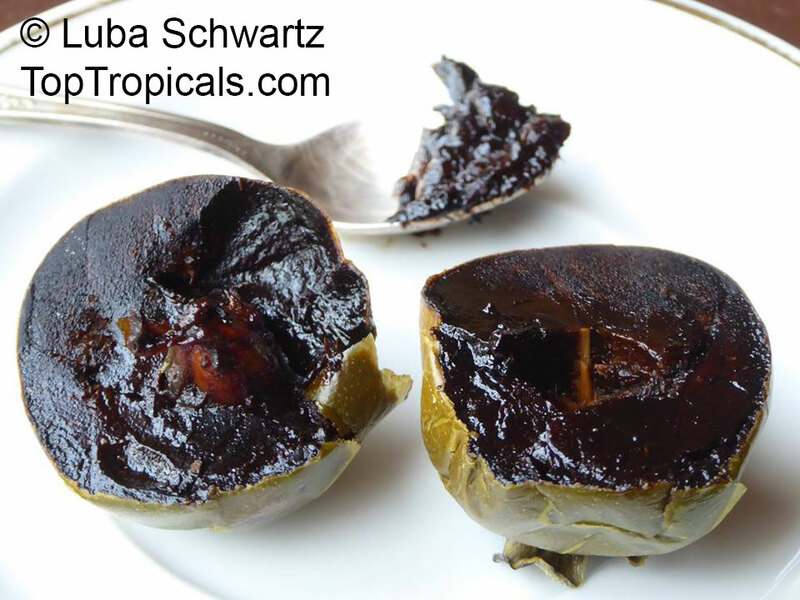 The pulp is glossy, dark-brown, almost black, jelly-like, soft, and very sweet. 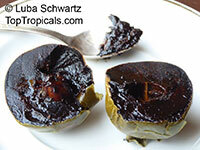 Its texture and color closely match stewed prunes. In the center, there may be a few seeds, but the fruit is often seedless. 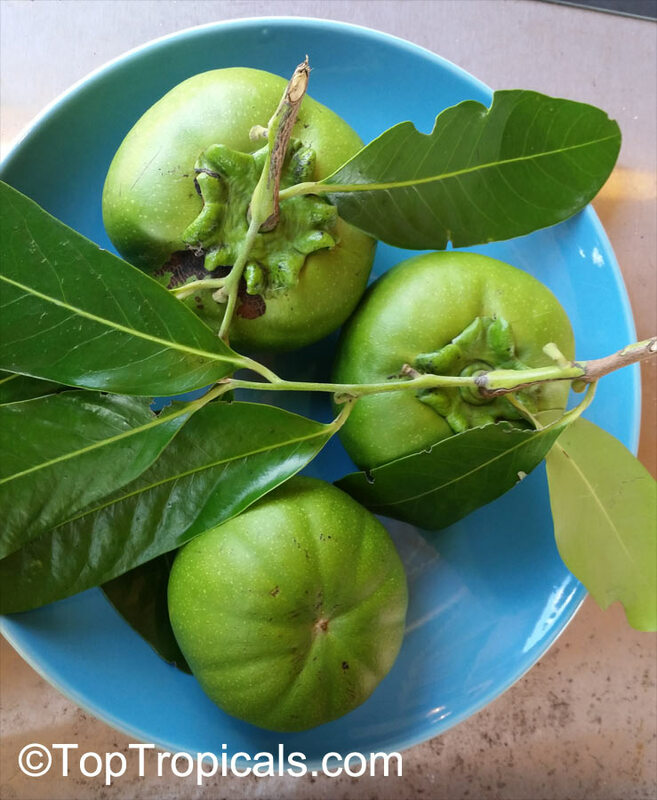 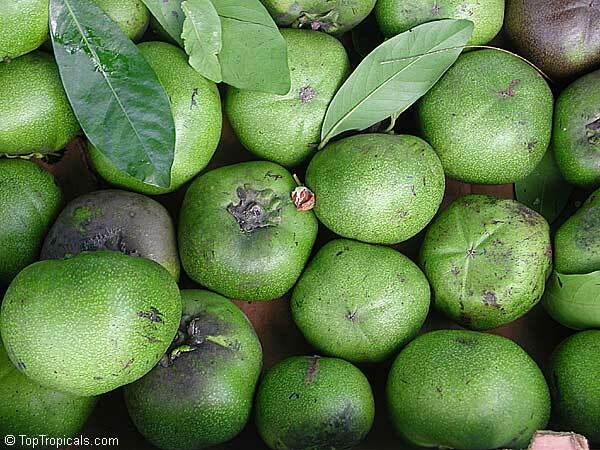 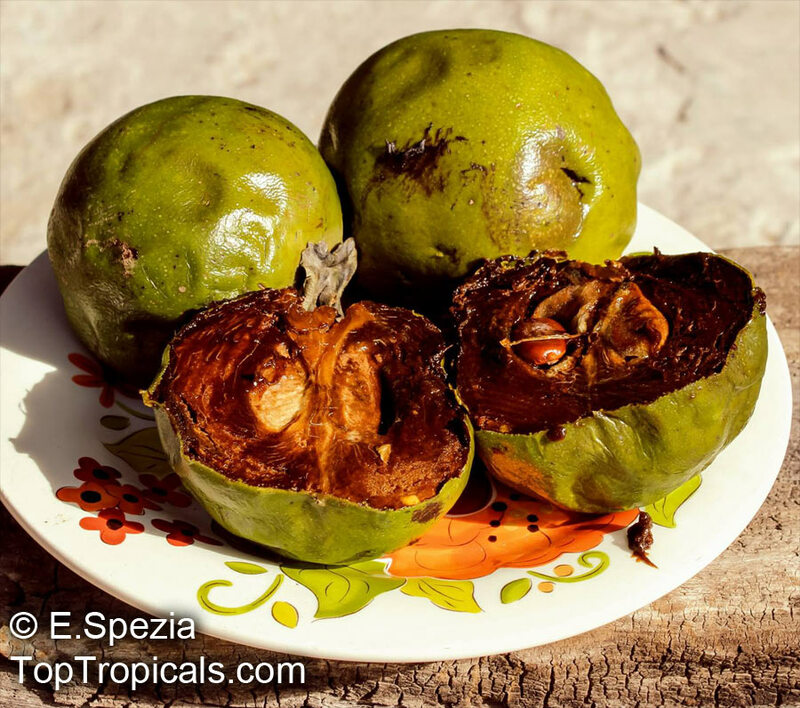 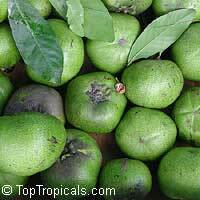 Black Sapote pulp can be served as dessert with a little milk, sour cream or orange juice poured over it. 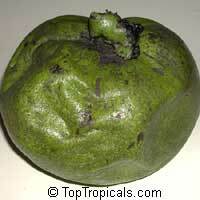 With the addition of lemon or lime juice it can be used as a filling for pies and other pastry. 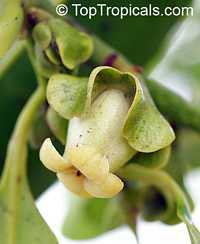 It is also made into ice cream. The pulp can be blended with orange juice or brandy, or with milk and ground nutmeg, or with wine, cinnamon and sugar, and served with or without whipped cream. A foamy, delicious beverage is made by blending the pulp with canned pineapple juice. 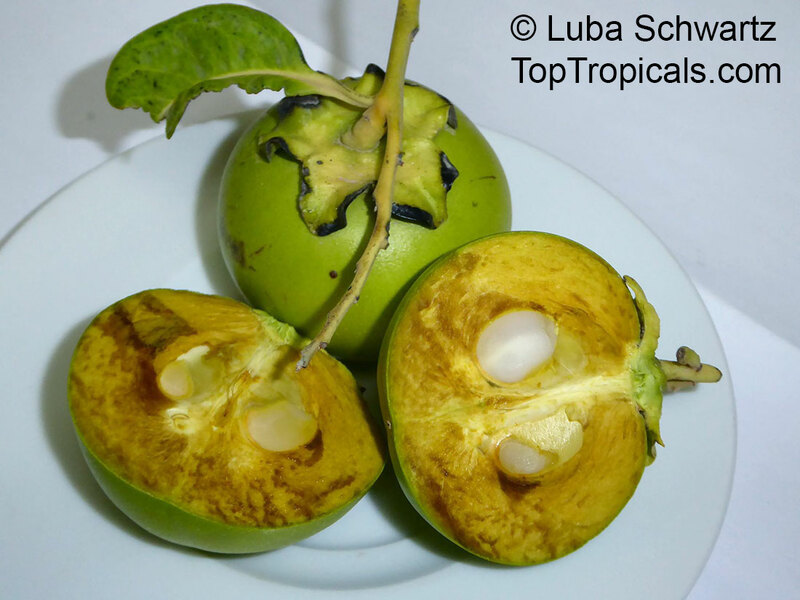 In Central America, the fermented fruits are made into a liqueur somewhat like brandy. 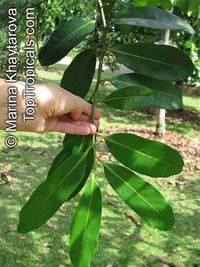 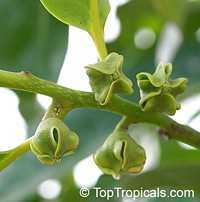 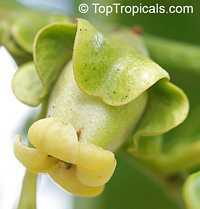 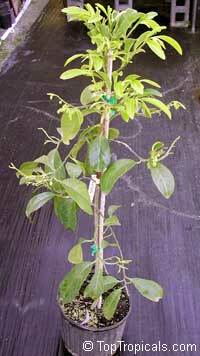 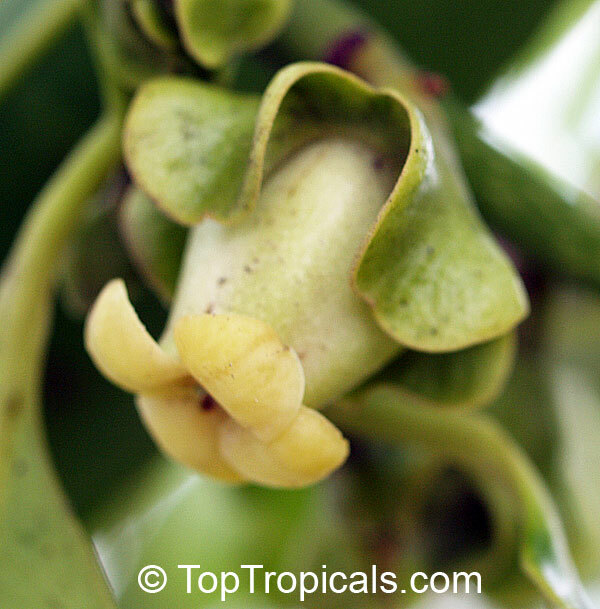 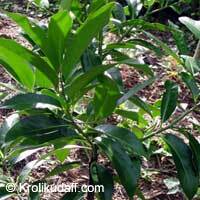 The plant is subtropical and can tolerate light frost, as well as short periods of flooding. 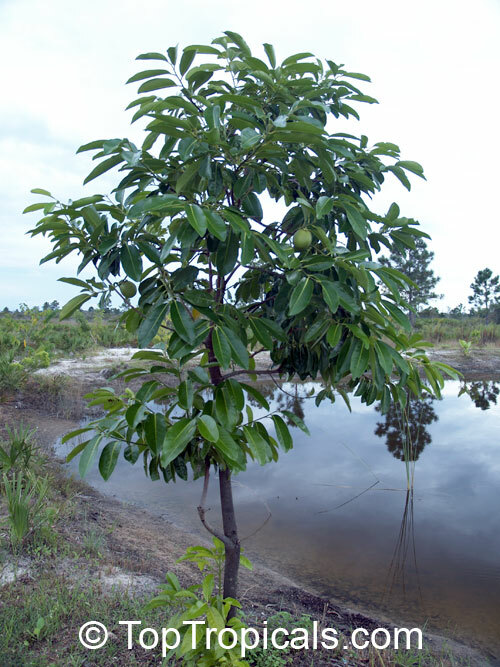 It has a broad adaptability to different types of soil. 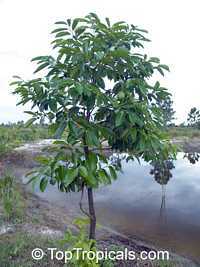 In Mexico it grows naturally in dry forests or on alluvial clay near streams where it is frequently subject to flooding. It thrives on moist sandy loam, on well-drained sand or even limestone with very little top soil. 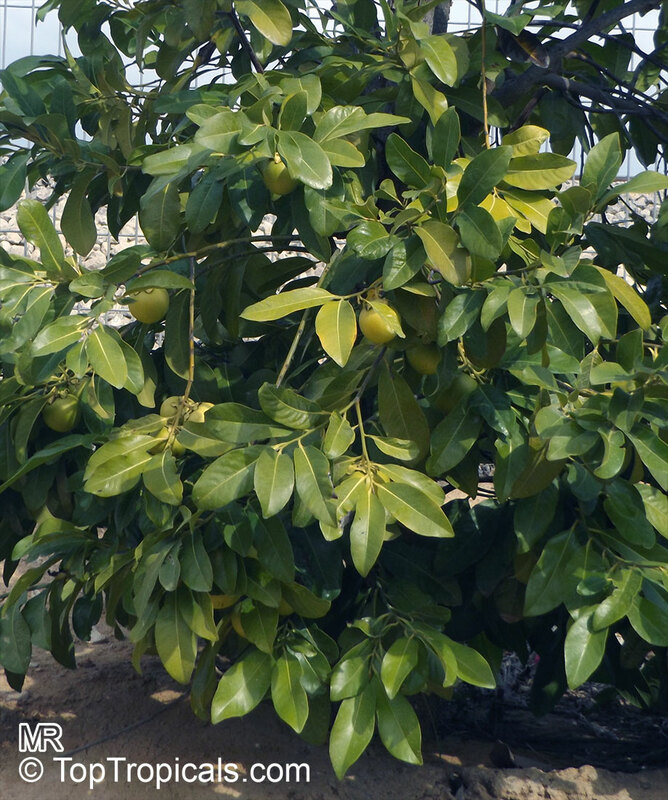 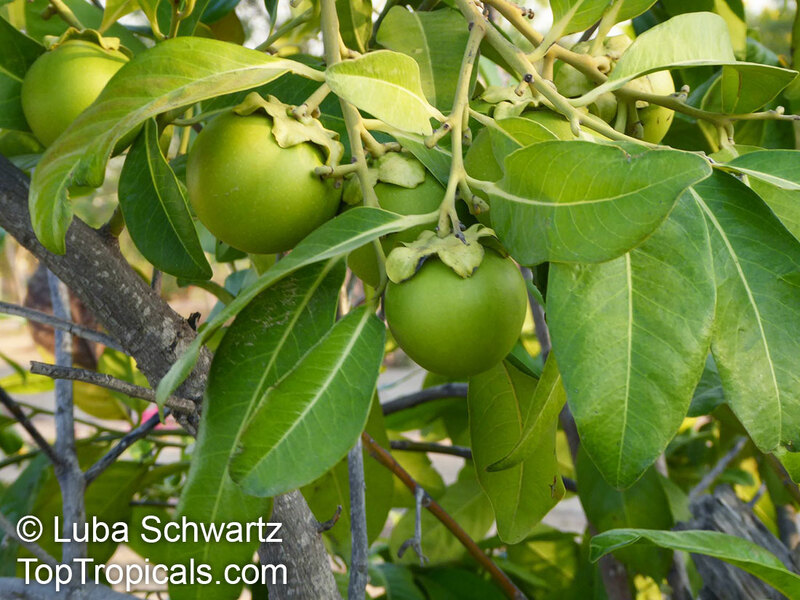 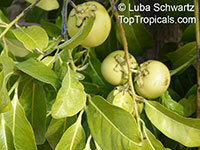 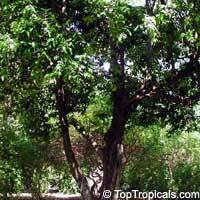 These qualities makes it a perfect fruit tree for Southern Florida. 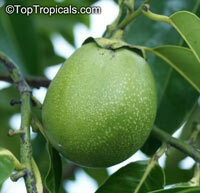 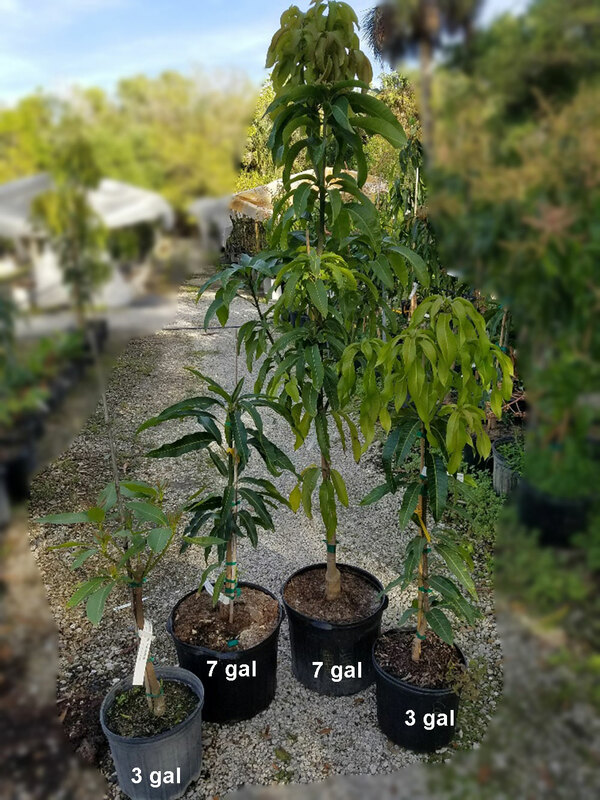 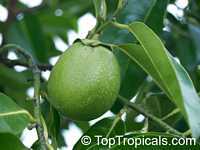 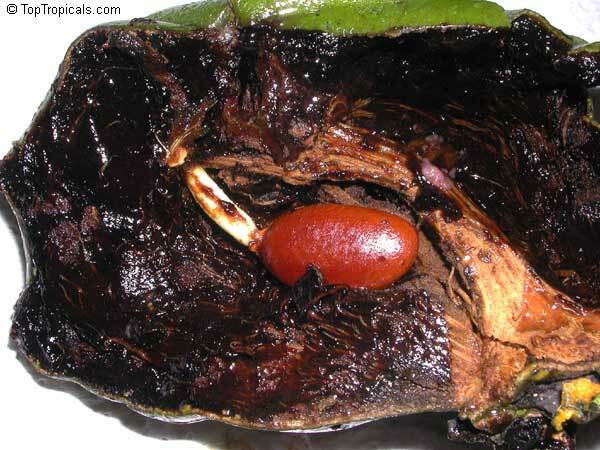 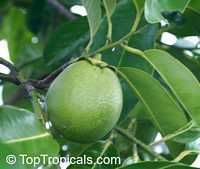 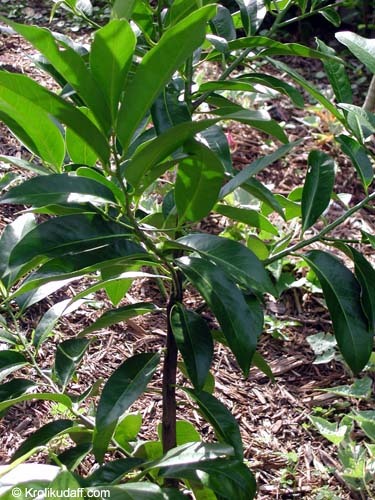 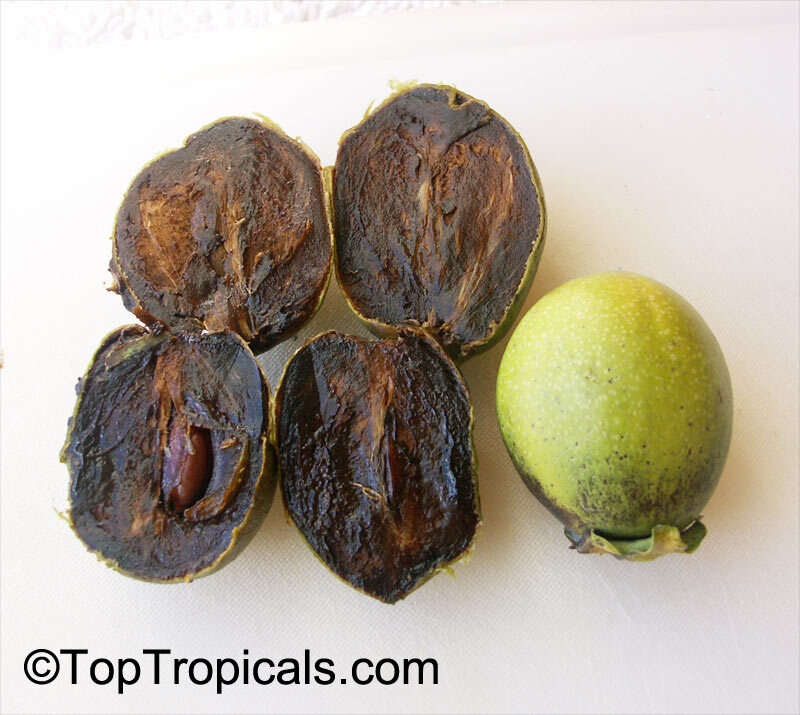 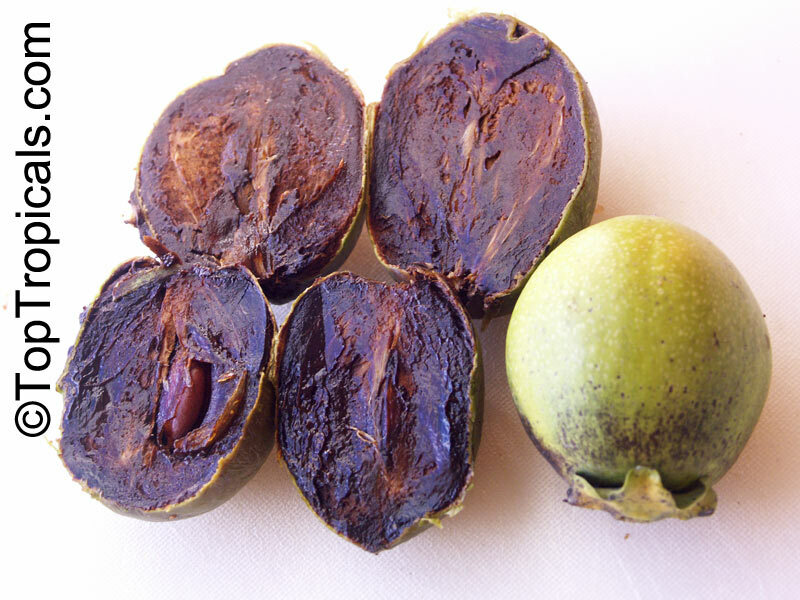 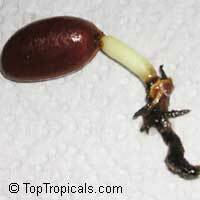 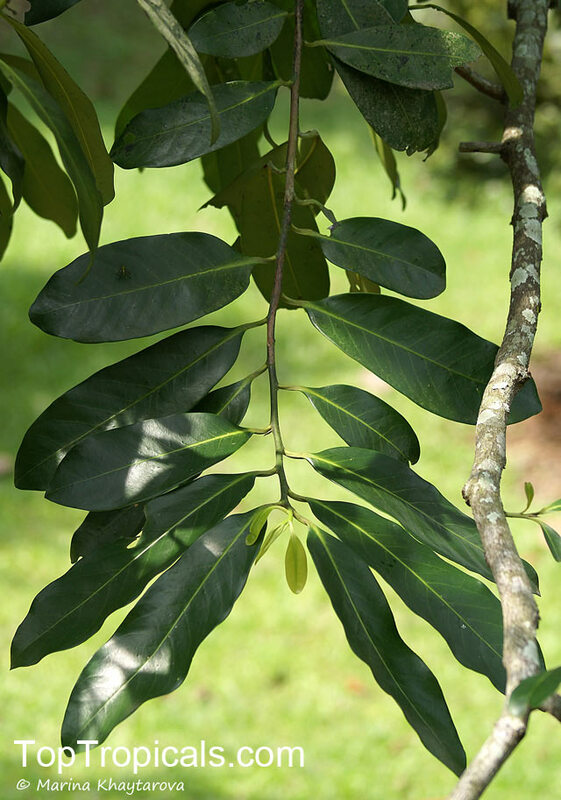 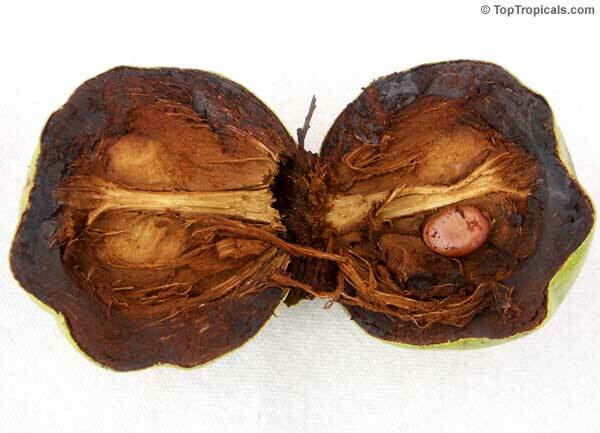 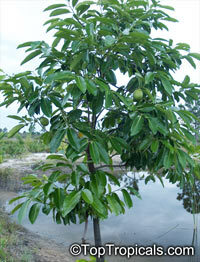 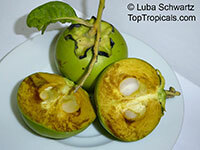 Black Sapote can be propagated by seed, as well as grafting. 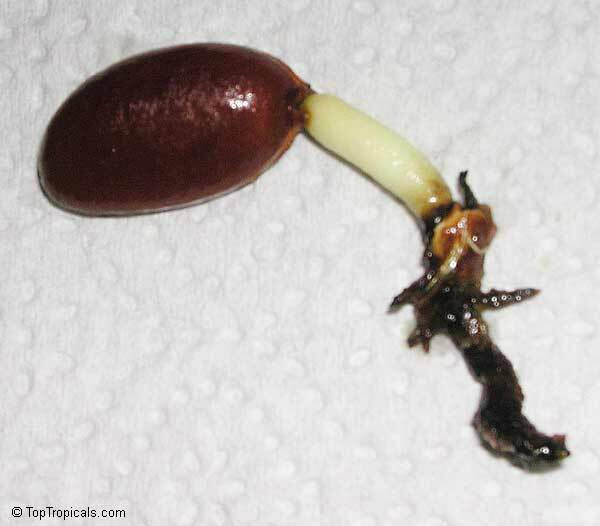 Seedlings normally begin to fruit within only 3-4 years.